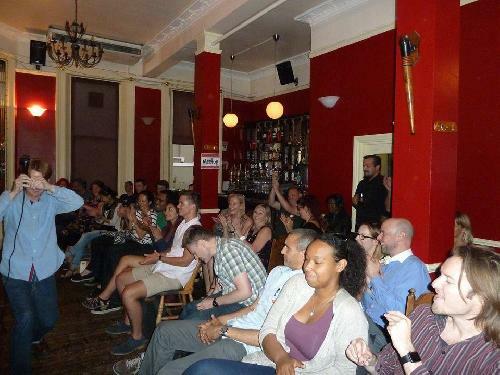 Comedy night starts at 7:30pm and finishes at 9:30pm. We have two professional comedians and a hilarious host. We have a three year veteran of the UK comedy scene, Marvin Alan hosting, who has recently come back from a three month tour across the States. Instant laughs provides a unique experience, if you are wondering what a night of Instant laughs is like, well, take a peek:https://www.youtube.com/watch?v=wakwYwPAuFQ. If you want a spot head over to https://spotlz.com/.